As with everything else related to horses, taking lessons can be expensive. You want to be sure that you’re enjoying what you spend your hard-earned money and limited spare time on. What are the best ways to make sure you’re continuing to learn how to ride your horse better, while still enjoying those precious moments in the saddle? 1. Decide what your riding goals are. 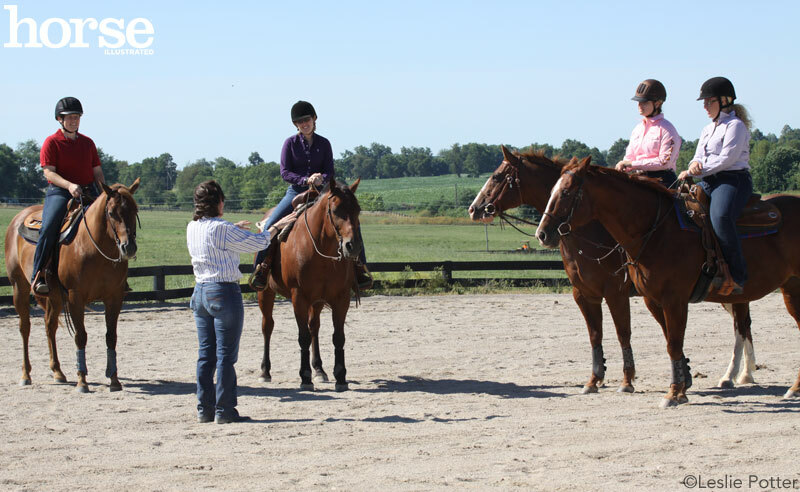 Are you a beginner who just wants to be comfortable on a horse at all three gaits, or a seasoned competitor looking to take your game to the next level? It’s important to take some time to think about what your riding goals are and where you see yourself in the next year or two before setting out to find the right instructor. Some instructors may only teach younger riders or those who want to ride for fun, while others are busy traveling the country, competing at the largest events. You don’t want to find yourself in a situation where you’re either not learning anything new because you’re more advanced than the barn, or you’re overwhelmed trying to keep up with those who are years ahead. If you’re unhappy with where you are now, take a step back and consider why that is. Even if that means taking a couple weeks or months off from the saddle, you might need to consider a few things: Is it your horse? Is it your instructor? Is it the struggles from the outside world coming into your “horse time”? Once you know the direction you want to go with your riding and what discipline you want to focus on, it’s time to do some research. Checking out websites like the Certified Horsemanship Association and the American Quarter Horse Association’s Professional Horsemen allows you to search by discipline and location, giving you contact information for trainers. Try doing a Google search on instructors and their farms, as well. 3. Schedule a visit and meet with the potential instructor. 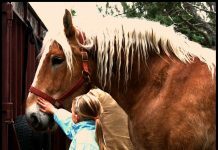 This is the time for you to check out the farm, see how well the horses are cared for, and talk with not only the instructor, but current students and clients. Arrive at the farm loaded with questions and your goals in mind, and be honest about what direction you want to go in your instruction. This one might be difficult, especially for newer riders. Are you the type that learns by watching, listening or doing? 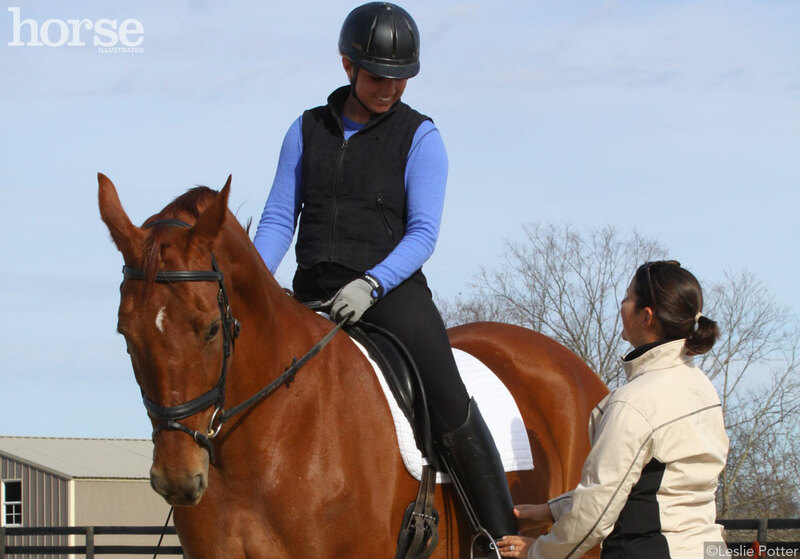 Do you want to see your instructor perform the actions aboard their horse, or can you figure it out on your own? Talk with other riders and see how they learn and see what works for them. And make sure that the instruction is aimed in the right direction. Do you like to have a trainer who drives you more by being strict, or do you want a more laid-back atmosphere? This is important to consider when it comes to learning environments. Does your instructor believe in continuing their own education? Romanelli says this is a key component to choosing a new instructor. Riding horses is an expensive sport, but it can be one of the most rewarding, so it’s important to make sure you’re getting value from the time and money you spend at the barn. If you feel at all uncomfortable with your instructor, be open about it and don’t be afraid to take the leap to find a new avenue to pursue your passion.